Developing Strong Athletes in Mind and Body– One Player At a Time! Now offering morning classes with Coach Megan and Coach Ruben! Covers your entire season 6 day a week access of unlimited hitting. Reduced private lesson price. 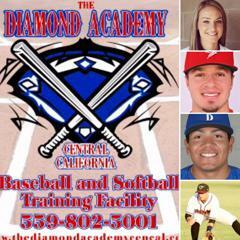 ©2019 The Diamond Academy of Central California / SportsEngine. All Rights Reserved.